About 150 kilo meter south of Kuala Lumpur is Malakka Town. The big city in Peninsular have round about 650.000 habitats and the Centre is dominated of buildings from the English colonists, Dutch Traders and Potuguese seafarers. I have bin in Melaka on my Southeast Asia Travel Tour in 2007. 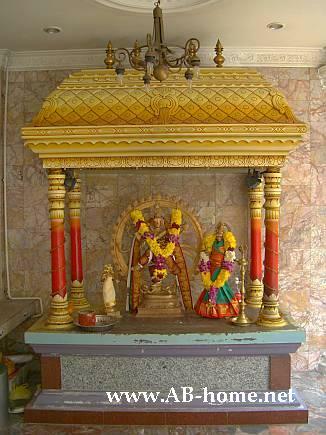 In Melaka are many Houses of God from many religious like the Church of St. Peter, Christ Church, Kampung Kling Mosque, Sri Poyatha Venayagar Moorthi Temple and many more. I spent two days at the Tony’s Guest House on my Travel way from Singapore to KL, the Capital of Malaysia. I Arrived over Johor Baru by Bus from South East Asia‘s city State between Peninsular Malaysia and Indonesia. For Travel Timetables look inside your Lonely Planet Travel Guide. My Highlight in Melaka was the historical Town Square and Bukit ST Paul which are the oldest Dutch buildings in far east. Now are the Historical, Ethnographic and Literature Museums inside. 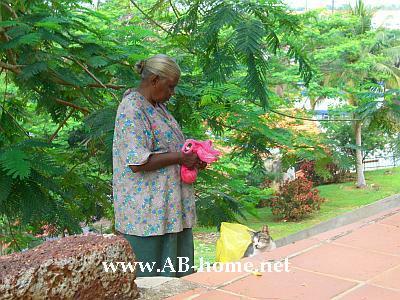 The locals are friendly and helpful like everywhere in Peninsular. Special thanks to the owners from Tony’s Guest House for good Travel Tips and insider information about Melaka. An other highlight is the huge Mahkota Parade Shopping Complex close to the Sungai Melaka. In the Northeast of Melakka is a colorful Chinese Cemetry on the Bukit China Hill. From this City in Malaysia’s Peninsular are a lot of International Travel options. From the Batu Berendam Airport for example you have many options to come into the Air Asia Net to explore Southeast Asia. If you are on Budget Tour you have the choice of Public Bus or Traveling by Train to many Destinations in Peninsular, Thailand and Singapore. From Melakka Hourbor two different kind of Jetty ferry’s leaving to Indonesia. But for this connection you need a Visa in Advanced. For more information and Travel options ask in the local TAT Travel Agencies or read your Lonely Planet for Southeast Asia or Malaysia. 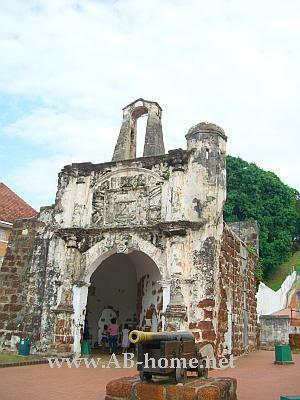 I enjoyed my trip to this historical town in Malaysia. 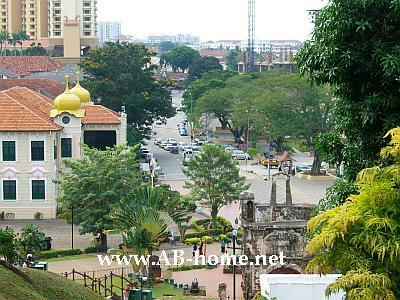 The people are very friendly and Melaka offer a lot sights for Tourists, Backpackers and Travelers. It’s perfect for a Travel stop up to Kuala Lumpur and the Shopping Center offer good possibilities to buy Souvenirs and other stuff like original Watches from high class brands much cheaper than in Europe. At the Center you can be shure that it isn’t a cheap copy how you will find on many places in Southeast Asia. 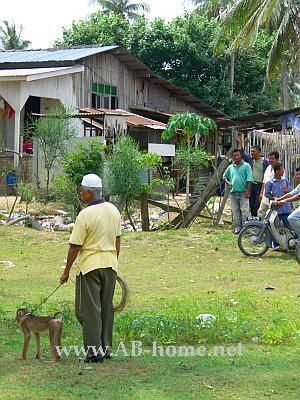 On my Southeast Asia and Peninsular Travel Tour 2007 I spent some days in Georgetown on Pulau Penang. I was coming from Cameron Highlands by Bus to this big City in Malaysias Peninsular. I don’t saw so much from Pulau Penang Island, actually I spent my time just in Georgetown to explore the City. My Guest House was the Swiss Hotel wich offer simple rooms with a Bed, Fan and shared Bathrooms for 17 Ringit. Two times I come here for a Visa Run from Thailand, than I was Staying at the Malibu Cafe Hostel in the Lebuh Chulia Road in the Heart of Georgetown. The Oasis Hotel, 75 Travllers Lodge and the Cathay Hotel are as well good addresses for Backpackers and Travelers from around the World. Coco Island Travellers Corner is a good address to share some experiences with other Travelers in Malaysia. 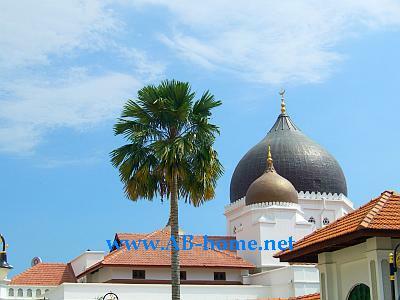 The main Sights in Georgetown are the Fort Cornwallis, the Penang Museum and the Kapitan Keling Mosque. Georgetown is as well famous for the big Shopping Center direct in the Centre. From here you have many option to Travel, the buses from the Bus Terminal go to many places in Malaysia and from the International Airport a bit out of the Center fly many Air Asia Planes to many Destinations in Southeast Asia. On my Peninsular Backpack Tour I took a Ferry to Pulau Langkawi. For more Info about the Island Penang and Georgetown read the Lonely Planet for Malaysia or South-East Asia. I started on Koh Chang Island in the Gulf of Thailand. From there i took a public Bus to Bangkok. 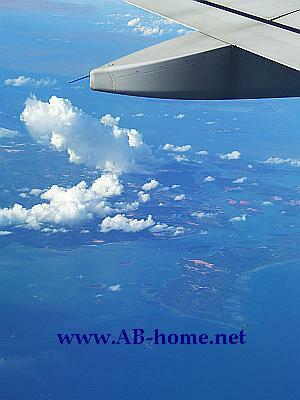 From Thailands Capital I was flying with Air Asia Airline to Kuala Lumpur. 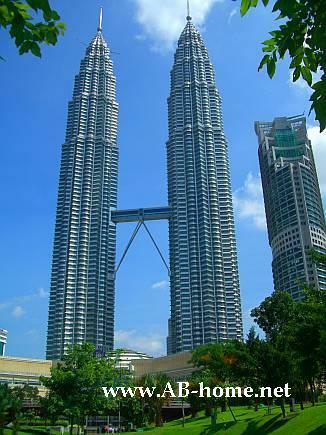 Malaysias Capital was as well my first point on my Travel Tour in the midle of 2007. After Some days I left to Cameron Highlands by V.I.P. Bus. From Peninsular’s Highlands I traveled by Mini Van to Ipoh where I had a Bus connection to Georgetown on Pulau Penang. On this Island in the Strait of Melakka i stayed some days before I took a ferry to Pulau Langkawi a bit south from the Thai Boarder. From Lankawi I Traveled over Kuala Perlis to Perhentian Islands which was one of my highlights on this Tour threw Peninsular (West Malaysia). From the beautiful Perhentian Archipelago I took a ferry back to Malaysia’s mainland. Kota Baru was my next destination on this Southeast Asia Travel Tour. From Kota Baru in North Malaysia I traveled by Train to Singapore. The turn took my about 30 hours threw Peninsulars Jungle. A nice trip by open doors of the diesel train. Late at night I arrived Singapore. From this Southeast Asian City-State I took a Bus back to Malaysia, over Johor Bahru I arrived Melaka. From there I go back to Kuala Lumpur to get my Air Asia flight AK904 to Bali in Indonesia. On Bali I spent round about two weeks. I arrived at Denpasar Ngurah Rai and Traveled from there 15 days around on Bali. My highlights on this Indonesian Island was Nusa Penida, Ubud, Tulamben and Lovina Beach. For more Information you can read the backpacker Report about Bali or buy a Lonely Planet South-East Asia Travel Guide. From the Dragon Island Bali I took a Plane back to KL. After one night in Malaysia’s Capital Kuala Lumpur my Flight leaving back to Bangkok Suvanaphumi Airport in Thailand from where I took a Taxi to the Sri Ayuttaya Guest House. 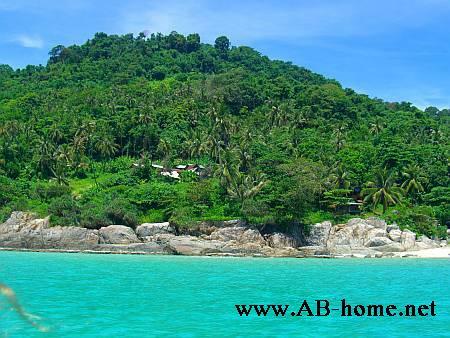 After round about 80 days I arrived tired but happy at my home Thale Bungalows on Koh Chang Island. On this Southeast Asian Travel Tour I get a lot Inspirations and saw many sights, landscapes and meet many nice Tourists, Backpacker and Traveler from around the world. On my Peninsular and Southeast Asia Travel Tour 2007 I spent some days in Kota Baru in the Zeck Travelers Inn. Zeck, the owner of this Guest House bring me and to other guests to a Monkey Contest. On this contest many people from everywhere in Malaysia come with them Monkeys to catch Coconuts from palm trees. The winner was the Monkey who took the most Coconuts in one minute. 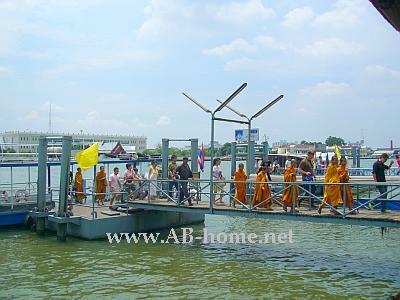 It was a big spectacle in Kota Baru near the Boarder to Thailand. I arrived by Bus from Pulau Perhentian in the South Chinese Sea. In this State Capital you will find many small Restaurants who offer good Indian and other Asia Food. My favorits are Meena Curry House, Restoran Sri Devi and Hayaki. 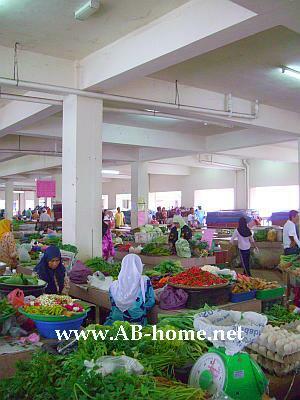 My highlight at Kota Baru in Peninsular (West Malaysia) was the Central Market. Many locals offer in a modern Markt building fresh fruits, vegetables, fish, all kind of meat and clothes. On the way to the market you will pass some supermarkets and other shops where you can watch the all day life of the habitats of Kota Baru. Many people come here to visit the Thai Consulate to get a Visa for Travel Thailand. A lot Traverllers, Tourists and Backpackers arrive at Malaysia’s Kota Baru Airport from Kuala Lumpur to travel Perhentian Islands which is easy to reach from here by Public Bus Taxi or Minivan. 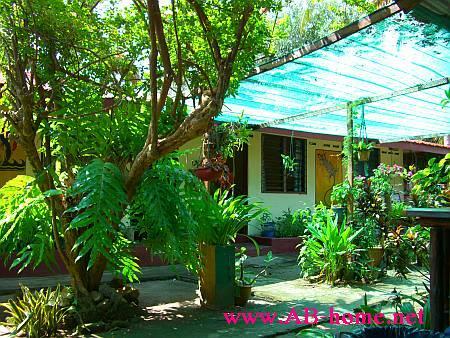 Kota Baru have good structures for Backpackers, ATM’s, Guest Houses, Restaurants, Hostels and Hotels are widespread. The Travel options are nearly endless, here are a Airport, Bus Terminal and a Train Station for connections in Peninsular, Thailand and Singapore. From the Railway Station I took a Train to Singapore, I recommend to book the tickets in advanced because it’s happen many times that the Train is fully booked. For more Informations about this Town in Malaysia read your Lonely Planet Travel Book or ask in the Tourist Information Center in the City of Kota Bara in Asia. I Traveled from Kuala Lumpur to Cameron Highlands by public Bus. It was a nice Trip trew evergreen Rainforest and Mountains who catch the clouds. 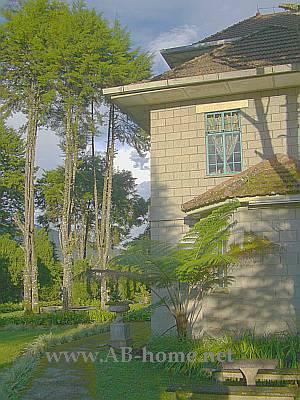 The Price for this Travel Trip was 17 Malaysian Ringit.At Cameron I was staying at Fathers Guest House in Tanah Rata. 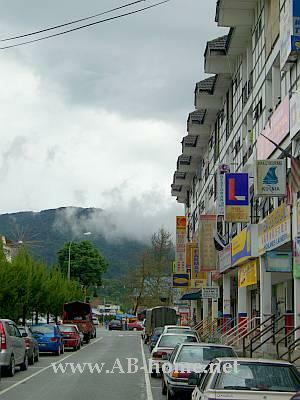 The Guest House is a five minutes walk from Tanah Rata Town where you find Restaurants, Supermarkets and ATM’s. A single Room with shared Bathroom and a Fan was 20 Ringit. For more Hotels and Hostels at Tanah Rata look at the Lonely Planet Travel Guide for Malaysia or Southeast Asia. This idyllyc City is surrounded by Mountains, Tea and Strawberry plantages. Because of the low temperatures on the 1536 meter high Bukit Mentigi Mountain are the conditions good for Tea. All over year here at Cameron Highlands are temperatures like in Europe at Summer. Perfect as well for the Strawberry Plants! 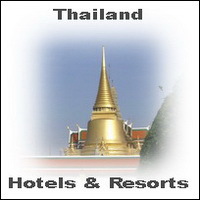 I spent here 4 days on my Southeast Asian Travel Tour 2007. My highlight at Cameron Highlands in Peninsular (West Malaysia) are the small Jungle Trails around Tanah Rata. 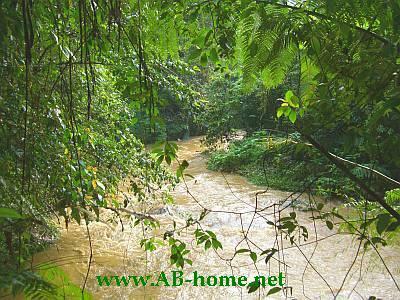 It was a pleasant walk along a Jungle River to some nice Waterfalls like the Robbinson Falls or the Parit Waterfalls. 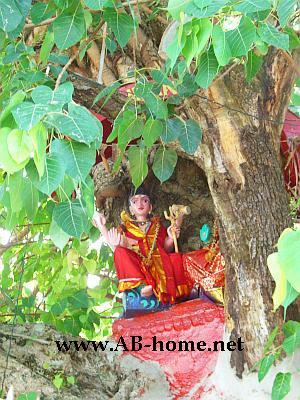 An other sight at this high spot in Peninsular is the Sam Poh Chinese Temple. Here I meet many Backpackers and traveler from around the World. Every Evening we sit together at Fathers Guest House, talked about our last Travel Destinations and ask for Travel tips from the next Cities/Islands. From the Cameron Highlands I took a Bus to Ipoh where I had a non stop Bus conection to Georgetown on Pulau Penang in Northwest Malaysia. Tanah Rata was one of my favorite places on this Traveling Trip. The sleepy Village is a good Travel Destination. The landscapes are totally different than at any other Destination in Malaysia where I have bin. But don’t forget a light Jacket because at Nighttime it can be 12-14 degrees Celsius. grrrrrr cold! Pulau Langkawi has everything you need on vacation: crystal clear water, blonde sand, tight jungle and tropical weather! 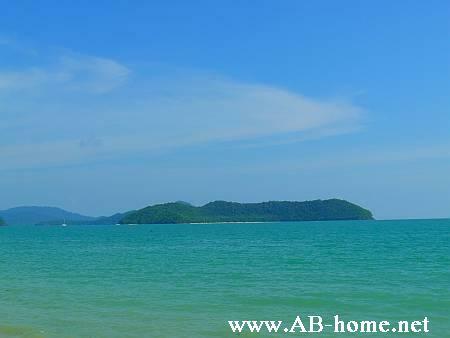 The Malaysian archipelago of Langkawi comprises 99 tropical islands. 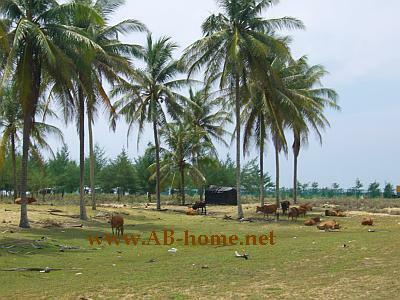 In the middle of 2007 I was staying at the Gecko guesthouse at the Pantai Cenang Beach. At Pantai Cenang are many options to stay, I get on Penang a recommendation for this hotel with easy rooms for 15 Ringit per night including a fan and shared bathroom. Many Asians of Japan and South Korea spent their holidays here in the straits of melaka. Langkawi Island is easy to reach by ferry from Kuala Perlis and from Pulau Penang where I was coming from. The ferry stop on a pier with many duty free stores and a big eagle statue who invite you to this tropical Paradise Island. ATM´s are widespread and for dinner you can find many traditional Asian restaurants. 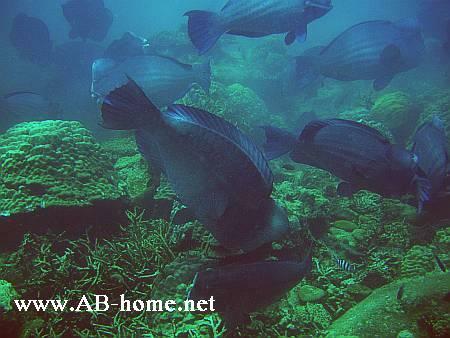 My highlight on this island in Southeast Asia was the Pulau Payar Marine Park of Malaysia. 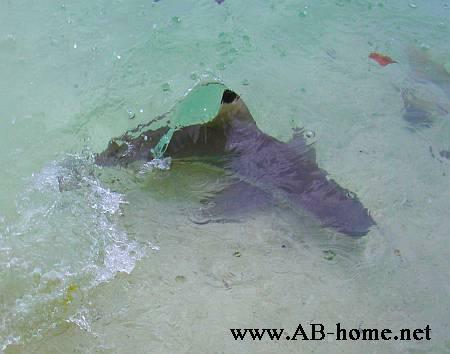 Here the black tip reef sharks come till the beach and I feed them with fish. The scuba diving over here is expansive; i paid about 80 USD for two dives at the National park included the admission fee. The East Marine Scuba Dive School gave me a lunch packed with some food and one bottle with one pint of drinking water. To less for a long diving day. We had 8liter tanks and my buddy used allot of air, so we come up every dive after about 40 minutes. But the conditions for scuba diving was perfect. We had about 20 meters visibility at 28 degrees water temperature. The first dive I did on the “Shark Point” which isn’t just a name. 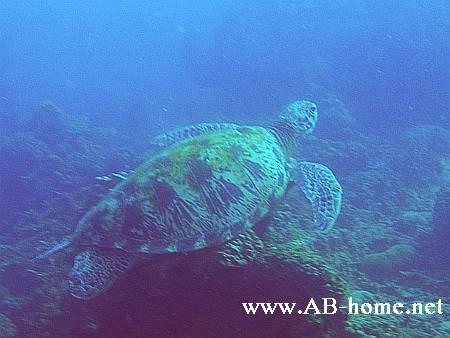 We saw many reef sharks and a nice reef dominated of hard corals with colorful marine life. The second dive spot was “Coral Garden”. 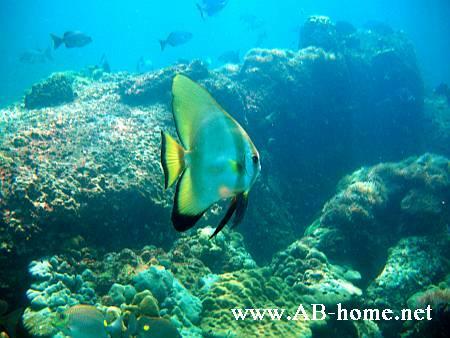 Here at this shallow area of six meters are allot of beautiful soft corals protected of the National park. Here on Pulau Langkawi it isn’t a problem at all to travel with English. Nearly every Malaysian local speak the European language perfect what isn’t normal here in Southeast Asia. 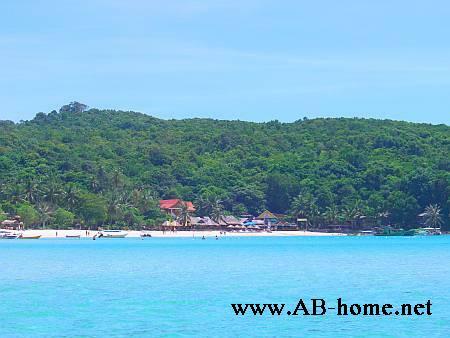 This Island is perfect for holidays but a bit to busy for backpacker and travelers. After 3 nights I was leaving by ferry and bus to the other side of Peninsular (west Malaysia). Kota Baru was my destination for one night. On the next morning I was traveling from this north Malaysian town to Pulau Perhentian in the South China Sea.